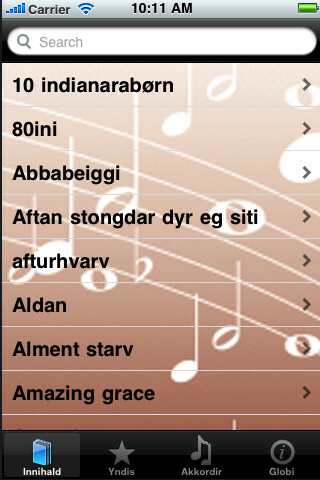 Sangbókin is a collection of popular songs commonly sung when Faroese people get together. 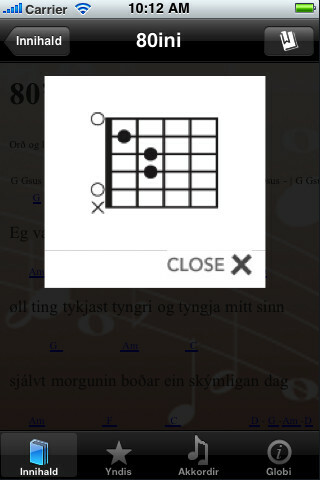 All the songs have musical notations which makes the app even more useful as the songs can be accompanied by guitar, piano or any other instrument. 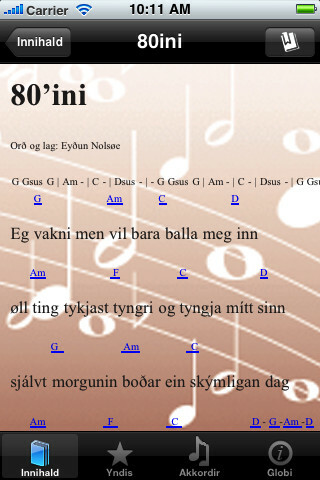 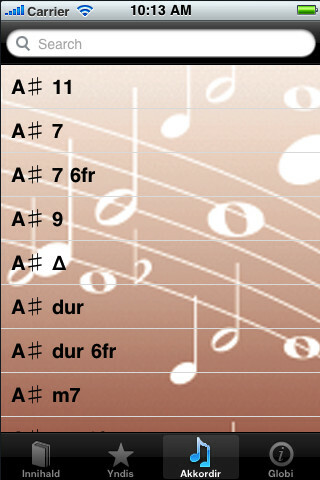 Includes musical notations and illustration of guitar chords.